Instead of Cleveland Pride, The LGBT Center stepped in to host Pride in the CLE later in the summer. If Pride celebrations are about proving how much the LGBT community can overcome together, then this year’s Pride in the CLE was especially in line with Pride’s purpose. After Cleveland Pride, Inc. cancelled their annual Pride, the LGBT Community Center of Greater Cleveland had just 13 days to work with numerous local organizations to pull together an event for thousands of LGBT Clevelanders. Less than three weeks before Cleveland Pride was set to take place, Cleveland Pride, Inc. sent out a press release cancelling the event due to “changing social climate.” Soon thereafter, Phyllis Harris, executive director of Cleveland’s LGBT Center, issued a press release bemoaning the news, and many Clevelanders joined in criticizing Cleveland Pride, Inc.’s decision. 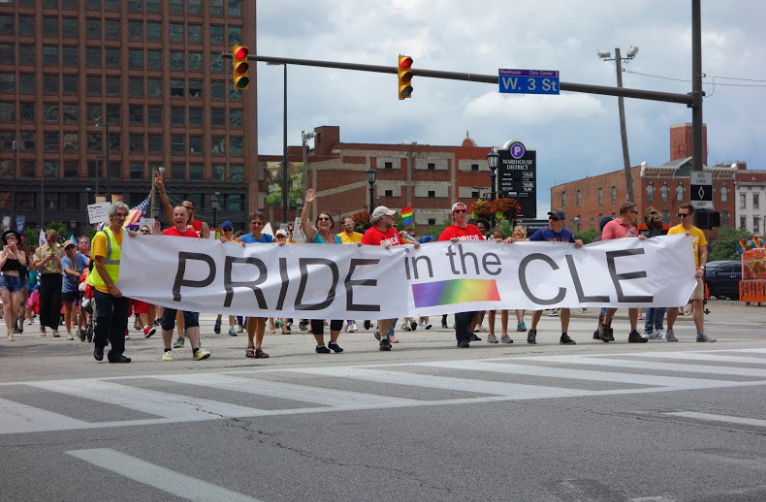 Just a few days later, The Center took action to bring back Cleveland’s LGBT pride—now in the form of Pride in the CLE, a simplified event that gets back to the roots of Pride. After a parade that included businesses, political candidates, churches and numerous nonprofit organizations, Pride in the CLE attendees gathered in the newly redone Public Square. There were no vendors apart from a few food trucks at the event. Instead, in between the performances and speeches onstage, Cleveland’s LGBT community could visit the tables of a few organizations that had been hand-selected to take part. Harris, other local LGBT leaders, a few religious leaders and a group of politicians including Mayor Frank Jackson all spoke at the event, interspersed with choirs and other performers. Andrew Cari and Martha Pontoni, two of the organizers of Cleveland’s first Pride, spoke about the history of Pride and its continuing significance. At the first pride, Pontoni said, the only political figure who would attend was one city councilman, in contrast with the many who spoke or marched this year. According to Israel, this event was essential for Cleveland’s LGBT Community. 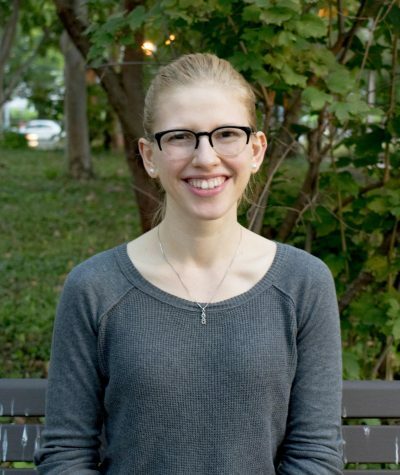 While volunteering at a cultural festival earlier in the summer, she had had a conversation with a young woman who couldn’t wait to bring her girlfriend who lives out of the country to Pride. Because of that woman and the many others who rely on Pride as a chance to learn about their own identities and community, Israel’s “heart sank” when she heard that Pride was going to be cancelled. For second-year student Cameron Childers, who volunteered at the CWRU LGBT Center’s table along with Israel, this was his first Pride celebration. “It was a really open and accepting experience, and it was nice to see Cleveland come together to celebrate pride even when it looked like we weren’t going to get a chance to,” said Childers.